This quick video shows you how to properly set-up and operate your EOS 1 Titan Controller. Allows precise humidity control with a 20%-90% range. 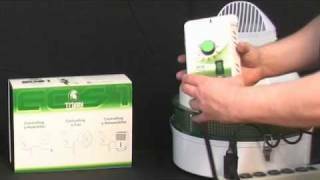 Change from humidification to dehumidification with a flip of a switch. Controls a humidifier, dehumidifier or fan. Durable powder-coated steel enclosure will stand up to the toughest conditions. Grounded piggy-back cord is easy to use. Ventilation louvers help avoid water accumulation. Built in 4% split differential. 15 Amps maximum/120 Volts/60 Hz. The Eos 1 is the complete solution for your humidity requirements. It features a powder coated durable steel chassis, piggyback cordset for easy wiring and convenient switch to flip from humidify to dehumidify depending on your gardens needs. 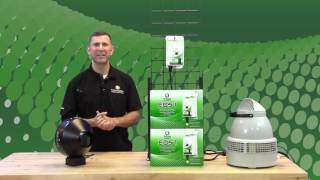 The Eos 1 will control any 120 Volt/15 Amp humidity gear on the market today.